Info Philip D. Murphy was confirmed by the U.S. Senate as U.S. Ambassador to the Federal Republic of Germany on August 7, 2009 and presented his credentials on September 3, 2009. He and his family arrived in Berlin on August 21, 2009. Born in 1957, Ambassador Murphy is a native of the Boston, Massachusetts area. He graduated from Harvard University in 1979 with an A.B. in Economics and received an M.B.A. in 1983 from The Wharton School of the University of Pennsylvania. He and his wife, Tammy, have four children, Josh, Emma, Charlie and Sam. From 1993-1997, Ambassador Murphy headed Goldman Sachs’ Frankfurt office, where he had oversight responsibility for activities in Germany, Switzerland and Austria, as well as in the then-emerging nations of Central Europe. From 1997-1999, Ambassador Murphy served as the President of Goldman Sachs (Asia). In all, he spent 23 years at Goldman Sachs and held a variety of top-level positions before becoming a Senior Director of the firm in 2003, a position he held until his retirement in 2006. After leaving Goldman Sachs, Ambassador Murphy served from 2006-2009 as the National Finance Chair of the Democratic National Committee. Ambassador Murphy has devoted substantial time over the years to civic, community and philanthropic affairs. He has served on boards and/or committees of the NAACP, Local Initiatives Support Corporation, the Center for American Progress, 180 Turning Lives Around and several programs of the University of Pennsylvania, among other entities. 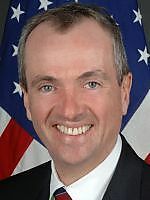 Additionally, Ambassador Murphy co-chaired a national task force on 21st century public education and chaired a task force on public sector employee benefits in his home State of New Jersey. Soccer is a particular passion for the Murphy Family. Ambassador Murphy has served on the boards of the U.S. Soccer Foundation and the U.S. Soccer Federation World Cup Bid Committee. Recently, he was a driving force in bringing a professional women’s soccer franchise to New Jersey. All Murphys play, to a greater or lesser degree, the beautiful game.